HÀ NỘI — HCM City took the lead at the National Swimming Championships in Thừa Thiên Huế on Monday. The team hold eight gold, five silver and two bronze medals after three days of competition. Quảng Bình have five golds, three silvers and one bronze to stand in second, followed by Đà Nẵng with four golds and two bronzes. 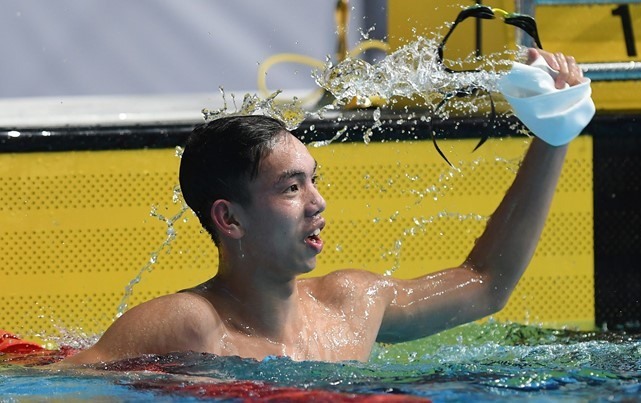 Quảng Bình’s Nguyễn Huy Hoàng set a new national record in the men’s 400m freestyle with a time of 3:44.92, beating the old record of 3:48.17. Phạm Thanh Bảo of Bến Tre also broke the old record of 2:12.21 in the men’s 200m breaststroke with a time of 2:12.00. In the women’s 4x100m freestyle relay, HCM City broke their own record of 3:53.65 with a time of 3:53.50.